If you are trying to reach more museums with your products or services, our conference is a perfect place to do that. PA Museums is looking for help to make our conference in 2019 in Chadds Ford a success. Did your company work on a project that will take home an award from PA Museums? Sponsor an event, provide a scholarship, buy an ad in our program, or exhibit your products with us. Please click here to find more information about how you can take part. PA Museums' program is coming together. We are planning to open conference registration to attendees on or about February 1, 2019. Nominations for new board members to join the board in April 2019 will also be considered through January 24, 2019. Please contact Rusty Baker, Executive Director, PA Museums to forward your nomination to the Nominating Committee. PA Museums posted six new opportunities since our last newsletter two weeks ago. If your institution has a vacancy, please see our job posting guidelines at the bottom of our jobs page or pass our contact information along to your hiring manager. Longwood Gardens invites internship applicants in a broad spectrum of work areas. The deadline to apply is February 1, 2019. The Penn Museum offers paid and unpaid summer internship opportunities for undergraduate and graduate students, and recent graduates from any college or university. The deadline to apply is February 8, 2019. The Pennsylvania Historical and Museum Commission invites applications to its Keystone Summer Internship Program. The deadline to apply is February 8, 2019. LancasterHistory.org in Lancaster, PA invites applications for its Summer Internship Program . The deadline to apply is March 15, 2019. LancasterHistory.org in Lancaster, PA invites applications for its Fellowship Program for Fall/Winter 2019. The deadline to apply is May 1, 2019. The government shutdown prompted many museums in Philadelphia to announce free or reduced admission fees for furloughed federal workers. 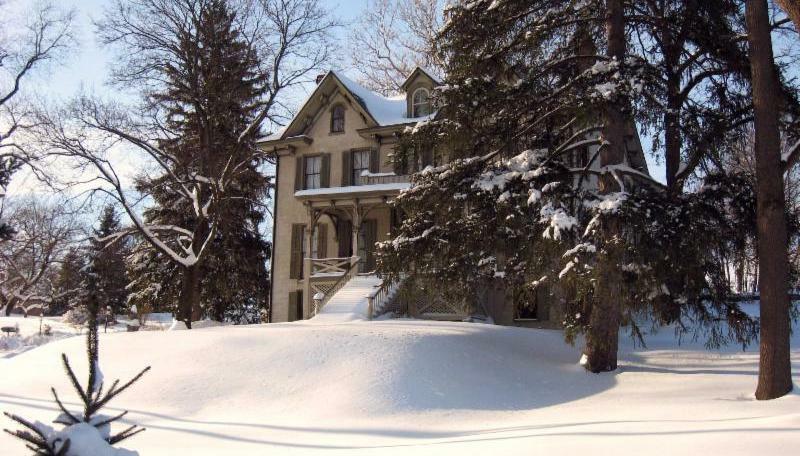 CBS21 featured Lancaster's North Museum as one of their recommended places to go to battle the winter blues. ABC27 took a trip back in time at the Pennsylvania Farm Show with the Northern York County Historical Society. The Philadelphia Business Journal explored Please Touch Museum's new permanent, money-focused exhibit, Cents & Sensibility. Experience Children's Museum in Erie is looking to expand. The Citizens Voice reported that Mark Ricetti,a Luzerne County Historical Society staff member, is heading to the Small Museum Association's conference. January is Anthracite Heritage Month; here's a roundup of some of the activities at museums and other organizations. The American Alliance of Museums announced a new initiative to diversify museum boards. Colleen Dilenschneider shared insights into member retention at cultural organizations. The American Kennel Club's Museum of the Dog will open in February in New York City. Today is #MuseumSelfieDay on social media, and we look forward to seeing some of your smiling faces! Advertising in the PA Museums newsletter is available for six week runs for $150. Our newsletter reaches around 400 museum professionals every two weeks. Please email us to have your ad run in Tapestry. The Cumberland County Historical Society (EOE) located in Carlisle, PA seeks a highly motivated, energetic Museum Curator. The position reports directly to the Executive Director. Interested candidates should email: 1. cover letter 2. resumé and 3. contact information for three professional references no later than February 22nd, 2019 to jillari@historicalsociety.com . Attached documents will only be accepted in Microsoft Word or PDF formats. No phone calls. Job Summary: Supervising a part-time Assistant Curator and part-time Collections Manager, the Curator is responsible for all CCHS exhibits, exhibit outreach, museum-related development and fundraising, museum management and direct oversight of the Society’s 10,000+ objects and artifacts. The position takes the lead role on the strategic direction of the museum, including; planned capital campaign collaboration with the Executive Director and Development Committee, leading the Society through AAM’s accreditation process, and enhanced community accessibility to the museum using participatory models known in the industry. The Curator serves on Museum Committee and other committees as appointed by the Executive Director. The Curator is responsible to the Executive Director with all the rights, responsibilities and benefits as described in the Personnel Policy Manual. • Provides oversight and assistance in the conceptualization and implementation of all Society exhibits in all locations and ensures these exhibits align with Society programmatic, marketing and development goals and objectives. • Assists with the solicitation of monetary donations for the Society and Museum in coordination with the Executive Director and marketing and development staff and assists with planned giving initiatives for the Society and Museum. 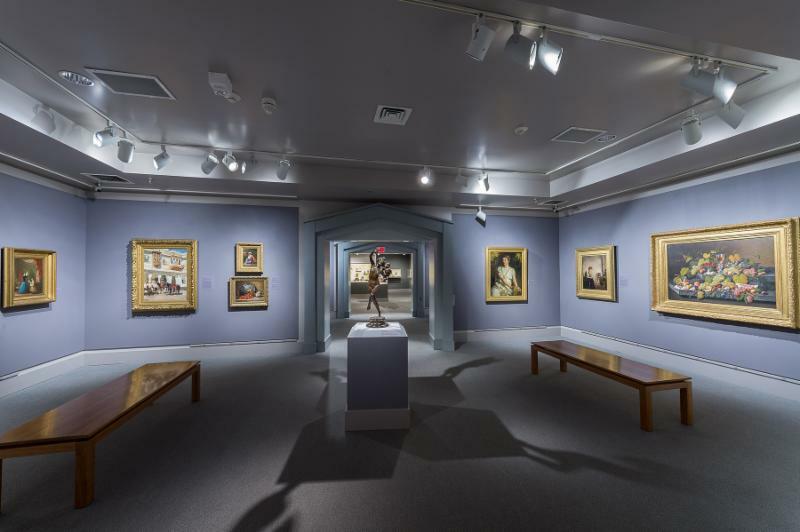 • Supervises interns, volunteers and curatorial staff to ensure all proper physical and intellectual controls for the collections are maintained. • Develops policies, plans and procedures to drive strategic direction of the Museum. • Provides workshop trainings to staff and volunteers related to Museum activities. • Provides or helps coordinate special content presentations or lectures related to Cumberland County material culture and history. • Quickly answers requests and inquiries from other professionals and the public. • Attends professional conferences, seminars and trainings pertaining to duties. • Participates in the Museum Committee and assists Chair in developing agendas for meetings. • Assigns collections research and research related to exhibits in production. • Develops department plans for the strategic growth of the Society collections through collecting plans and furnishing plans. • Assists in the preparation of the annual museum budget. • Takes the lead role in coordinating CCHS’ AAM Accreditation application initiative and oversees the completion of core documents needed for the application process. • Represents the Society at special events and receptions to promote the activities, goals and aspirations of CCHS and the Museum. • Assists in initiating and developing publications related to the collections. • Helps develop print and digital media marketing materials in conjunction with the Community Outreach department to promote the Museum and collections. • Informs and takes direction from the Society’s Strategic Plan and Community Outreach Plan in the promotion of the CCHS and the Museum. • Takes lead role in the development and/or coordination of CCHS Interpretive Planning to include all spaces including the Two-Mile House and G.B. Stuart History Workshop. • Assists, and in some cases leads coordination of, selected special events, initiatives and tours to promote the mission of CCHS and the Museum.